Inspired by the '70s rebels who asked, "Why not?" 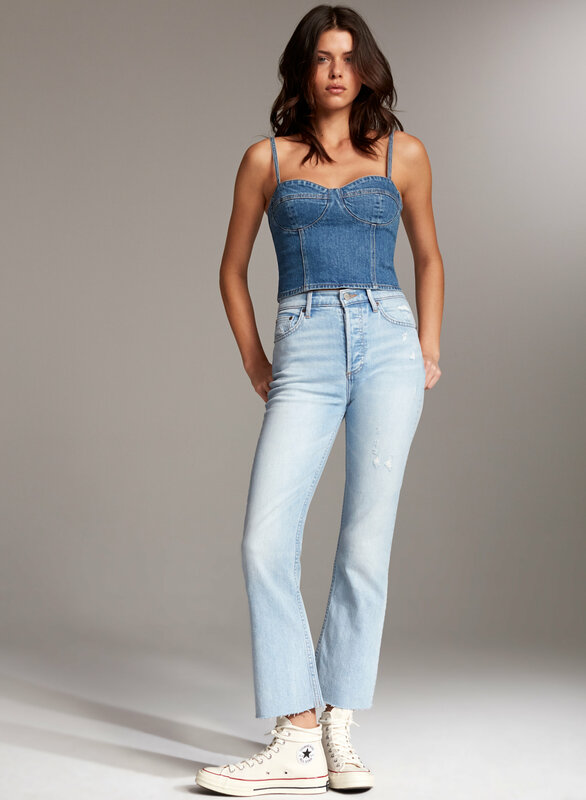 the Bailey is the signature cropped flare from Denim Forum. A true retro silhouette, with a cropped inseam and flare that balances the hips for ultimate flattery. 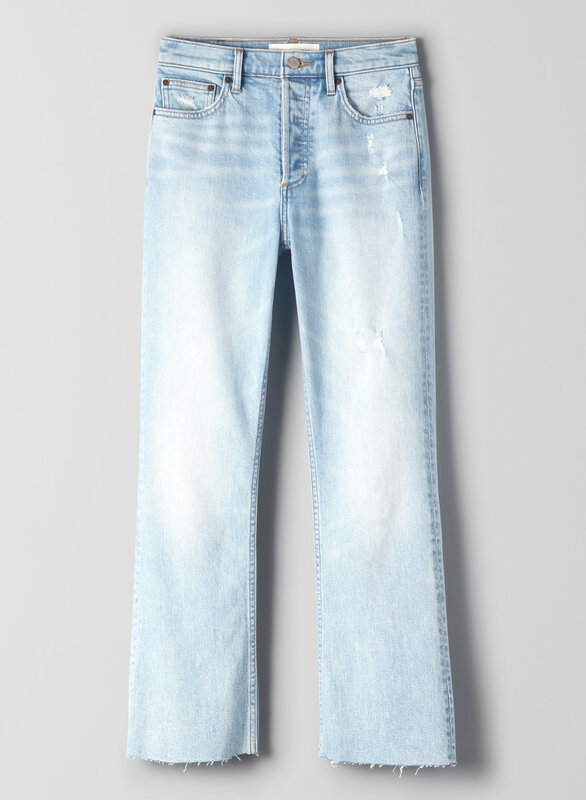 The denim has a touch of stretch and is made with premium organic cotton from Italy. This version comes in a pale blue with fading throughout the leg.